The 2012 sand drag racing season has already been one of the most memorable ones in recent history, and we are only nearly halfway through. NSDN has already been at six Daily Race Coverage events and will have two more before the end of June. I want to thank all of the readers and sponsors of NSDN for making all of this possible. It’s amazing the reach that this site has. At seemingly every event I go to, I meet different racers, crew members, and even spectators that are frequent visitors of the site. NSDN has kind of taken on a life of its own, and I’m very thankful for everyone that has contributed to building it into what it is today. 1st-Matt Ewing - Matt had a Perfect .000 RT in Eliminations. Thunder Valley Sand Drags in Grain Valley, MO is hosting the upcoming BAD Nationals on June 15-16. This will also be the second race in the 2012 Mid-America Sand Drag Series. In the highlight class of the weekend, the Blown Alcohol Dragsters will face off against the Turbocharged contingent in the Top Eliminator 2.95 Index class. A full slate of Bracket classes will be available with racers coming from all across the region. Click “Read More” to view full race details. The Inaugural season for the Mid-America Sand Drag Series kicked off at the 14th Annual Heartland Nationals in Atoka, OK over Memorial Day Weekend. Racers from across the region converged on the Southeastern Oklahoma race track for some excellent sand drag racing action and a chance at beginning a charge towards a series championship. The next event is upcoming on June 15-16 at Thunder Valley Sand Drags in Grain Valley, MO. For more information on this event, go to www.ThunderValleySandDrags.com. Click on the link below for the full listing of the current series standings. Mayhem at Soboba was the name of the event as the SCSDA held their second race of 2012. This race lived up to its name with some wild rides and fast action despite the warm weather throughout the weekend. Here is a recap of all the action from this event. Atoka Motorsports Park held their 14th Annual Heartland Nationals over Memorial Day Weekend. This has traditionally been a great event held in the Heartland of America, and this year's edition certainly didn’t disappoint. 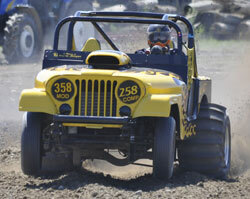 Also in 2012, this is the first event for the Inaugural season of the Mid-America Sand Drag Series. Racers got a jump start on the competition as they strive to win the season long championships. Here is a recap of all the action from Atoka. 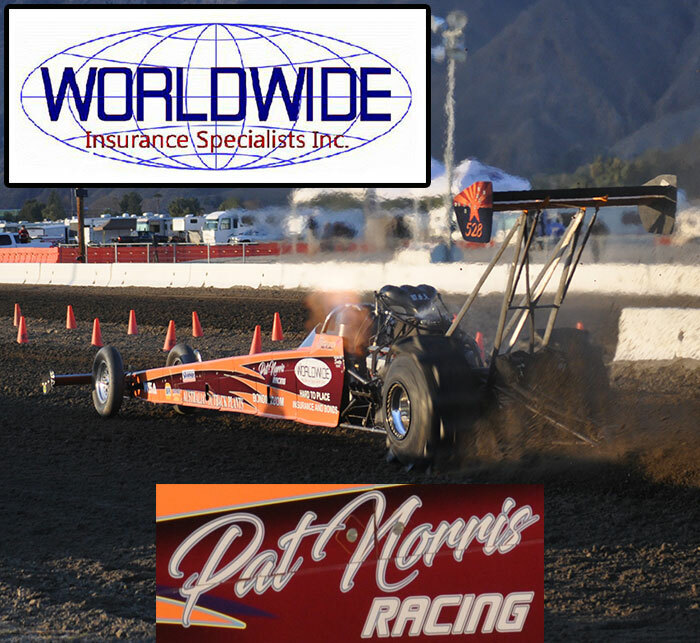 The 2012 NSRA Quality Aircraft Care Sand Times Drag Racing Series finished off the first half of its season with a trip to the Soboba Casino in San Jacinto, CA on May 18-20. The SCSDA (Southern California Sand Drag Association) put on this event, and offered up a great venue for sand drag racing action. This will also be the site of the next NSRA point series event on September 28-30 after the long Summer break. Click the link below to view the current points & info regarding the 2012 NSRA point series. The Inaugural Nitro Nationals at the Dirt 300 in Albuquerque, NM is just around the corner on the weekend of June 22-24. Some exciting news about this event is that the folks from Newave Productions will be filming for upcoming episodes of SPEED Channel’s Lucas Oil “On The Edge”. Another note for racers is that the Pro Bracket classes will be run on a .400 Pro Tree. This event is shaping up to be a stellar one for the New Mexico crowd. For more info, contact Charlie at 505-400-0611 or visit www.thedirt300.com.